The General Data Protection Regulation will have drastic changes on how businesses collect and use personal data in Europe. These new privacy regulations will stop the tendency of advertising agents relying on shared data to market specific products to specific individuals depending on their behaviors. Most people disclose their private information every day unknowingly via smartphones and apps. Due to this, companies such as Facebook trade with such information. This privacy loophole will be sealed by EU legislation set to take effect in May 2018. Under the GDPR, internet users will be required to give clear consent to the collection of their private information. Digital marketing firms will be forced to abide by several rules when collecting consumers’ personal data. Under the GDPR, consumers must provide their consent freely, clearly, and in a specific manner. There will be no written agreements bundled with users’ consent. This law requires that consents must be actively provided and companies are prohibited from assuming consent from users’ inactivity or pre-checked boxes. In addition, customers are allowed to withdraw their consent at any time and demand for the right of being forgotten. The GDPR law will have a significant impact on the advertising companies. Firms that utilize information to target ads and data warehouse that purchase personal data for various reasons will bear the largest brunt of the law. After May 25, 2018, most firms will rely on other companies that obtain approval to gather such information from internet consumers in order to use personal data. 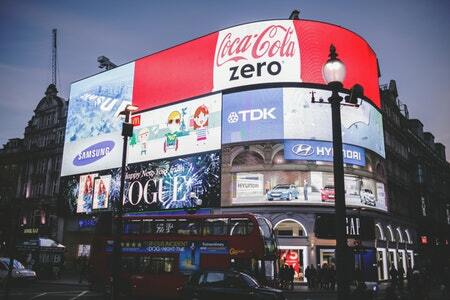 The changes are likely to affect the global digital advertising scene because firms will be unable to use European Union citizens’ data except if they receive direct consent from the customer. GDPR will apply to the EU citizens’ data notwithstanding the location of where it is being utilized. The implication of this new development includes the fact that companies based in the US such as Google and Facebook will have to observe these regulations given that they contain a significant volume of EU citizens’ information whose privacy must be protected. This also means that such companies based outside EU but handling the member states citizens’ data will have to be GDPR compliant or face the severe penalties of up to 4% of their global revenue. The GDPR will require data warehouse companies to ensure that the third party from whom they buy personal information complied with the law. Overall, organizations that manage EU citizens’ private data will have their businesses affected by the general Data Protection Regulation. The advertising firms will have their activities reshaped by GDPR because they need data to complete their targeting. It is likely that the regulations will simplify advertising by moving away from the current algorithmic models to the usage of less volume of data.